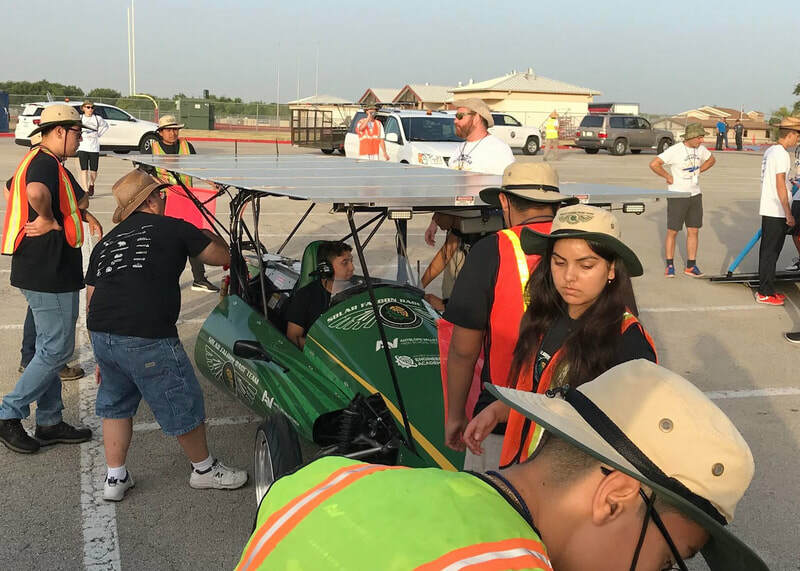 The Solar Falcon Race Team program is designed to inspire students in science, engineering, design and alternative energy solutions. Students learn how to design, engineer, build and race road worthy solar cars. Workshops, curriculum materials, and on site mentor visits help support the teams. 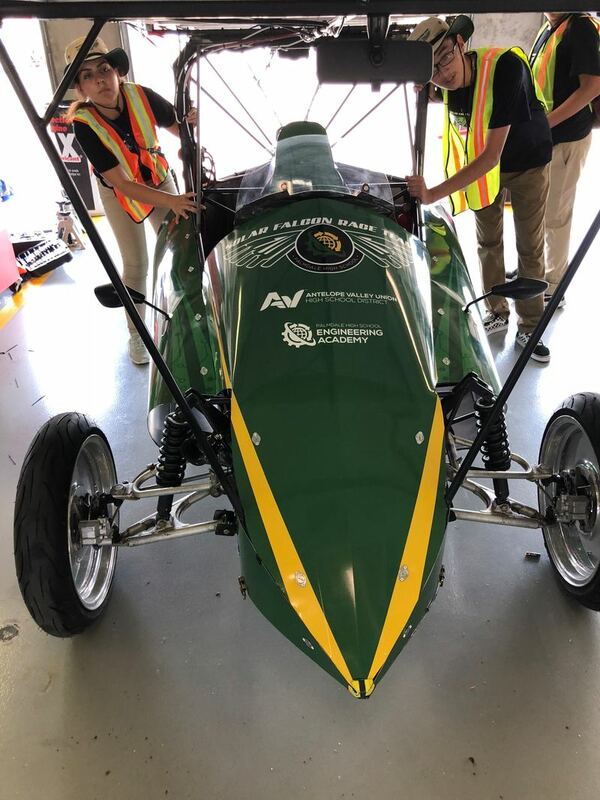 The end product of each education cycle is to race in the national Solar Car Challenge; a closed-track event at the world renowned Texas Motor Speedway, or a cross country event designed to give students the opportunity to show the country the product of their efforts. 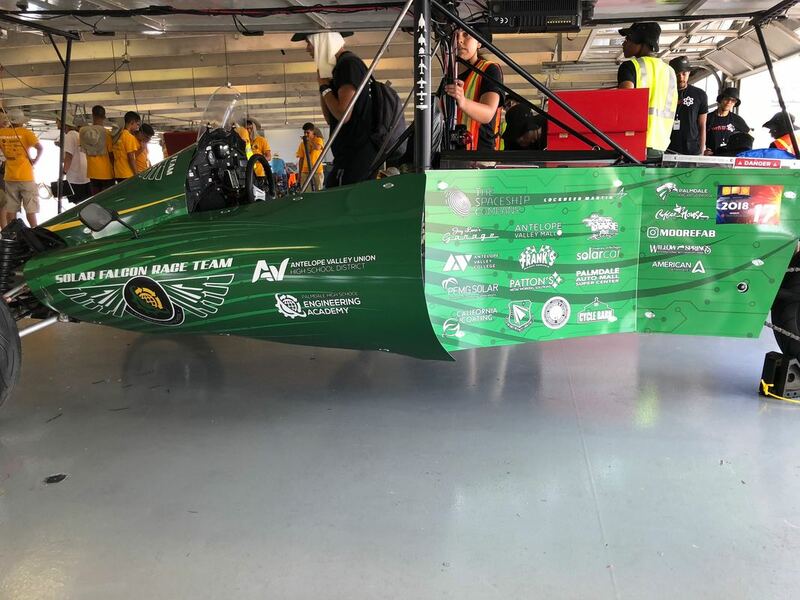 Meet the Falcon 4.0, the 2nd place finisher in the 2018 Solar Car Challenge. We design build and race the best solar car vehicles, with the help of sponsors who are a critical part of our team’s legacy. Learn more about the people who help make our designs a reality.